Public broadcasting in Germany receives €8,000,000,000 (eight billion euros) annually, yet it is subject to little or no public feedback, ranking, or even debate on what constitutes value or quality. We want to change that: With this app you can make your voice heard and propose on which shows your €17.50 per month should be spent. Public broadcasting in Germany receives €8,000,000,000 (eight billion euros) annually, yet it is subject to no public feedback, ranking, or even debate on what constitutes value or quality. 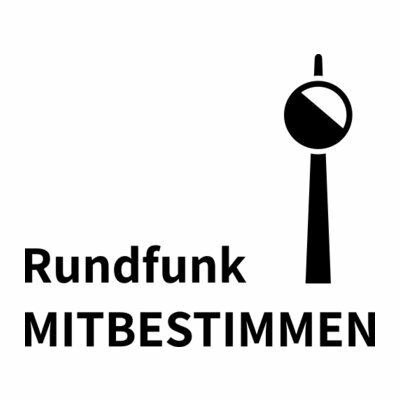 On rundfunk-mitbestimmen.de you can say how your €17.50 per month should be spent. It is a proof of concept how digital democracy can work for publicly funded media and it is a win-win situation for both sides: More influence for the audience. More data for broadcasters. The backend is responsible to store the data. Who wants to pay for which broadcast and how much? Users are related to broadcasts via impressions in the database. The response on the impression model can be either negative, neutral and positive and indicates whether a user wants to give money to a broadcast. If the response is positive, the amount further specifies how much to pay for a broadcast. So, the sum of all amounts per user must not exceed the monthly fee of 17,50€ per month. The frontend should be as easy to use as possible. The user can login and register, fetch a set of not yet voted broadcasts, decide about broadcasts, assign money and see the public statistics. Most of these actions will send requests to the backend. The frontend should be comfortable to use, e.g. by default amounts are evenly distributed with the option to set the amount explicitly. We do full stack testing with Cucumber and Capybara. We specify the requirements as user stories in our Github issues and implement them as cucumber features. The cucumber features are a good starting for you to understand the current behaviour and the reasoning behind it. Here is our model how to write tests. The cucumber tests are at the top. As they test the entire stack, cucumber tests tend to be rather slow in execution but in return they deliver some confidence that the system works. (OPTIONAL): Customize the file backend/config/database.yml to match your local database configuration. Stub out external services in the frontend, e.g. authentication via Auth0. Use a separate test database in the backend, which will be cleaned after each test run. We use this project board as our central issue tracker. Issues are ordered by priority and you can filter for good first issue if you are interested in a beginner-friendly task. Additionally, issues are tagged with backend and frontend depending on where code needs to be changed. Don't be afraid of our identity provider Auth0. In development environment your login will reach the "rundfunk-testing" instance of Auth0. This will not pollute the Auth0 instance used in production. Our build server Travis CI takes care about automatic deployment. Approximately 15 minutes after your pull request was merged into master, you should see the changes in production. See the LICENSE file for license rights and limitations (MIT).